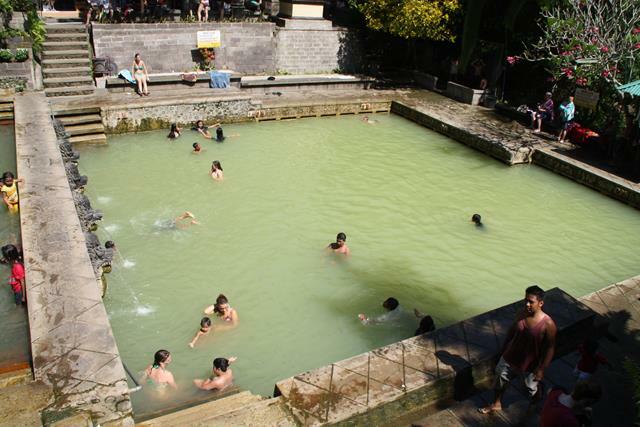 There are hot springs (air panas - meaning hot water) in the north of Bali. The northern area of Bali has lots of volcanic activity, with 2 large volcanos, Gunung Batu and Gunung Agung. The volcanic activity produces hot spring water which is collected and pumped into large swimming pools which are used for therapeutic bathing. 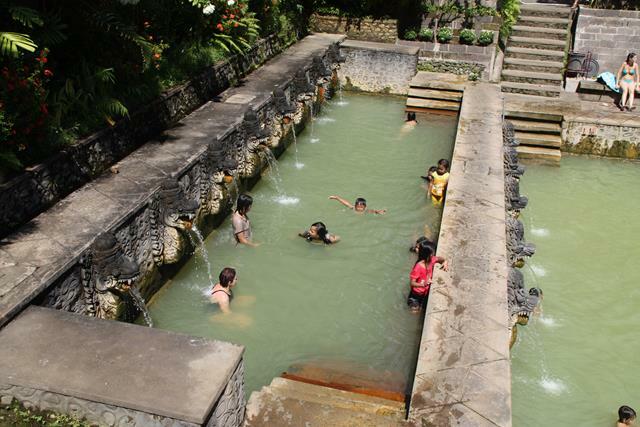 There are a few different hot springs in the northern area of Bali. 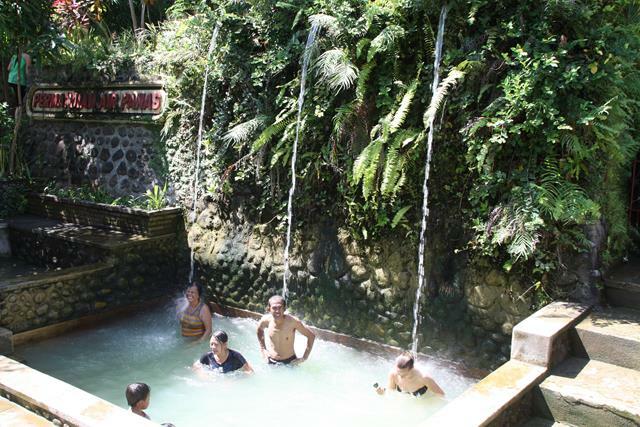 Right next to Batur lake is the Batur Hot Springs. Around 20 minutes drive from Lovina, there are the Permandian Air Panas which is a large complex with many different swimming areas filled with the hot water. Entrance fee to Permadian Air Panas costs 20,000Rp. 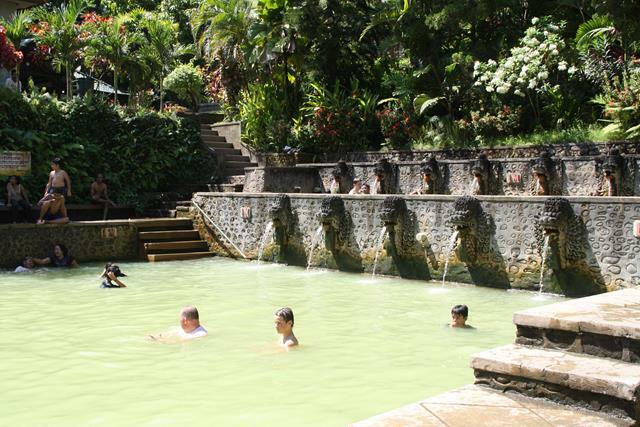 The hot springs are open from 7am - 7pm and is usually very busy with local people bathing in the hot springs. There is a shop and restaurant at the Permadian Air Panas hot springs where you can get something to eat. 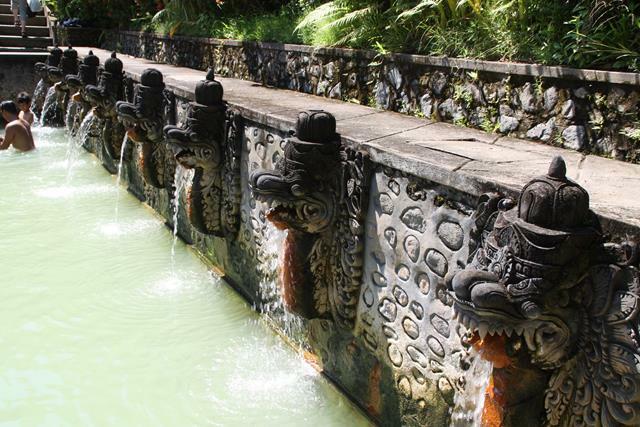 The Permadian Air Panas are around 20 minutes drive from Lovina, on the north coast of Bali. Head east from Lovina and on the main road there is a sign pointing to the 'Air Panas'. You can make a nice half day trip from Lovina by visiting the hot springs as well as the Buddhist Temple which is only 5 minutes drive from the hot springs.